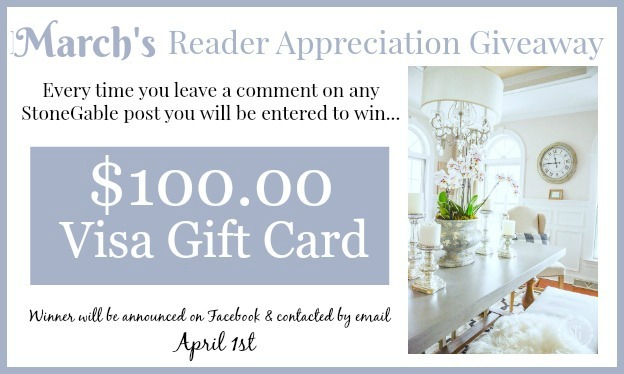 A big thank you to all my readers who are listening to our podcast Decorating Tips and Tricks! We are thrilled with the response and listening interest! If you have not been listening you can start right now!!!! Listen to all of our podcast episodes HERE. You can also get the show notes and links to things we are talking about! My favorite podcast is episode 16, HOW TO CHOOSE A SOFA. There is so much good advice here, but it’s just so so funny! Anita tells the funniest story!!!!!! If you need sofa tips and a very good laugh today you can listen below. If you need sofa tips and a very good laugh today you can listen below. Now, let’s get some good recipes! It is still very chilly in my neck of the woods so I’m making another batch of love-in-a-bowl! 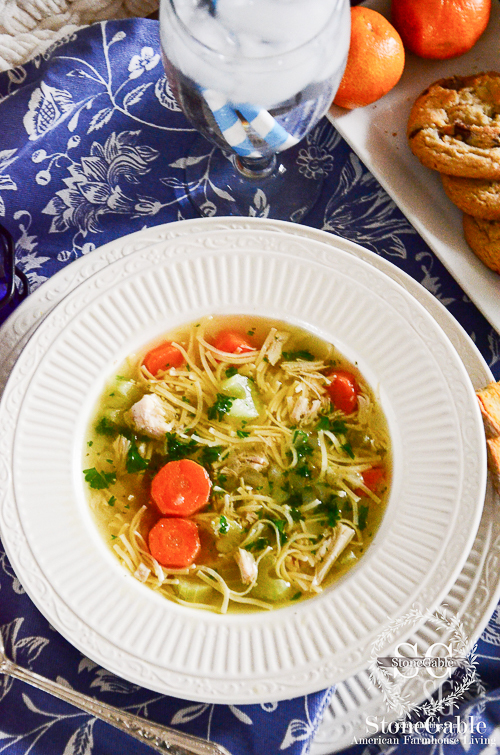 My Nani’s chicken noodle soup is the perfect meal for a chilly day! If you make one thing this week, this soup should be it! My kiddos used to take things like Nani’s chicken noodle soup in a thermos for lunch. I loved making very fun lunches for my babies! One day a mom from school called me and asked me not to send such great lunches with my children. She said it made the other mom’s look bad! I wear that comment like a badge of honor to this day! I’m a fussy shrimp eater! I never eat shrimp out… only at home! Shrimp can so easily turn from delicious morsels from the sea to rubbery, chewy bites. I won’t eat Lobster out either! And salmon… don’t get me started! Woe to the chef who overcooks seafood! For some reason, seafood has been almost labeled a food to only eat out. No, no, no! Cooking succulent seafood is so easy and cheaper to cook at home! I must have a hundred recipes for chicken under my belt, but I’m still on the lookout for another scrumptious chicken recipe. Like this one! I am so crushing on THE RECIPE CRITIC, where the image below (I think the image is photography perfection!) and the recipe comes from. Oh, yum! If you like to peruse recipes like I do then you will get lost in this amazing foodie blog! Bobby and I work long, long hours. But Wednesday afternoons my sweet husband takes off. I love Wednesdays just for that reason. We really don’t go anywhere, we mostly putter around StoneGable together. So fun. As soon as the snow melts from our mid-March snow storm, we will work in the garden together. I can’t wait! Who knew digging in the dirt together could be so romantic! I’ve had lots of emails asking how my left foot is doing. Thanks for your prayers and well-wishes! I’m now walking without a cane for the most part and my foot is slowly recovering. It’s been a very, very long process and I still have a way to go. But, each week I can see a little improvement! By summer I should be running marathons! Well, at least walking them. 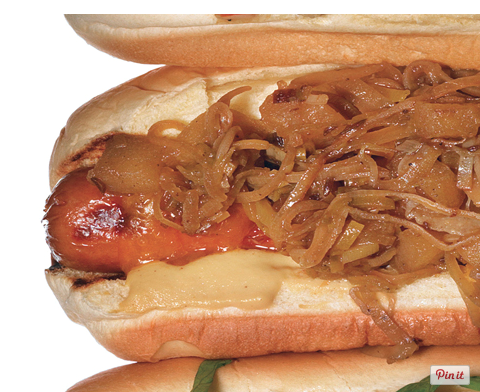 I love a good hot dog every now and then. And my friend Kelly from MY SOULFUL HOME serves up what she calls a “haute” dog. It’s an upscale, chic way to make an all-American favorite! I love the name and Kelly too! Don’t miss Kelly’s Irish Soda Bread Recipe. She’s famous for it. Get the recipe HERE. 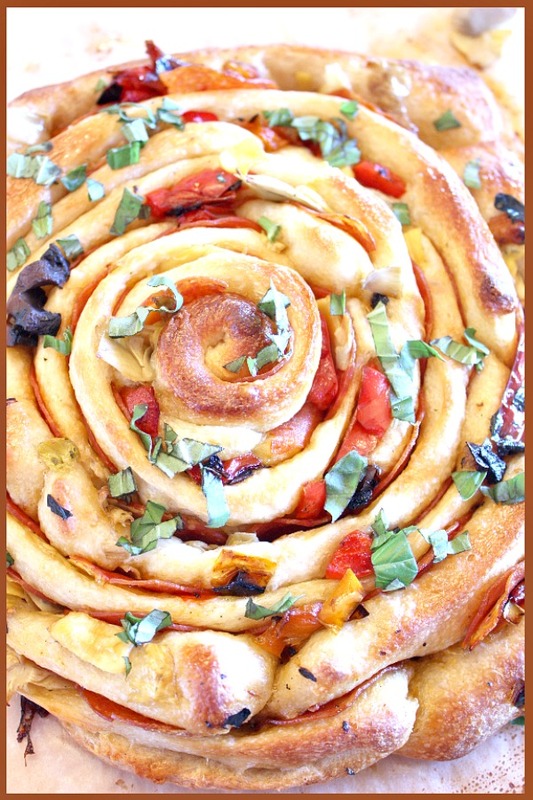 Another fabulous recipe from my new favorite foodie site THE RECIPE CRITIC! Alyssa’s recipes rock!!!!! The food bowl craze is big right now so I’m bringing it home today! I wonder what my meat-and-potatoes-Bobby will think. My husband is such a funny (as in very interest and endearing quirks) guy! Change is difficult for him. But when he embraces it he goes all out. Like his crocks obsession. I bought Bobby his first pair of crocks and he was very, VERY skeptical. Once he got used to the idea of crocks he got a little crazy with the whole thing. He now has everyday crocks, camouflage crocks, garden crocks, fur-lined crocks and dress crocks. I hid his dress crocks. Don’t tell him! Like I said… so endearing! 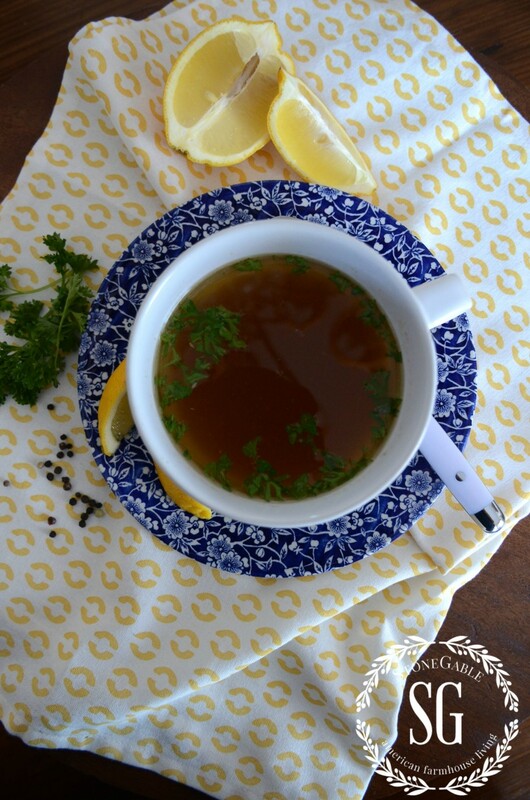 The intense favor of this broth is a must try! I’ll make a batch and freeze them this week. I just feel better knowing they are there in the freezer when I want a yummy snack! Did you know that I have over 2,000 pins on my FOODIE FUN Pinterest board? 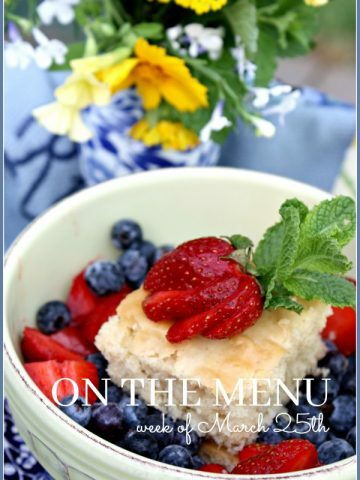 Lots of yummy recipes I hand picked! You might like to follow me on Pinterest and see what I’m pinning every day HERE! So many yummy options. Thank you. 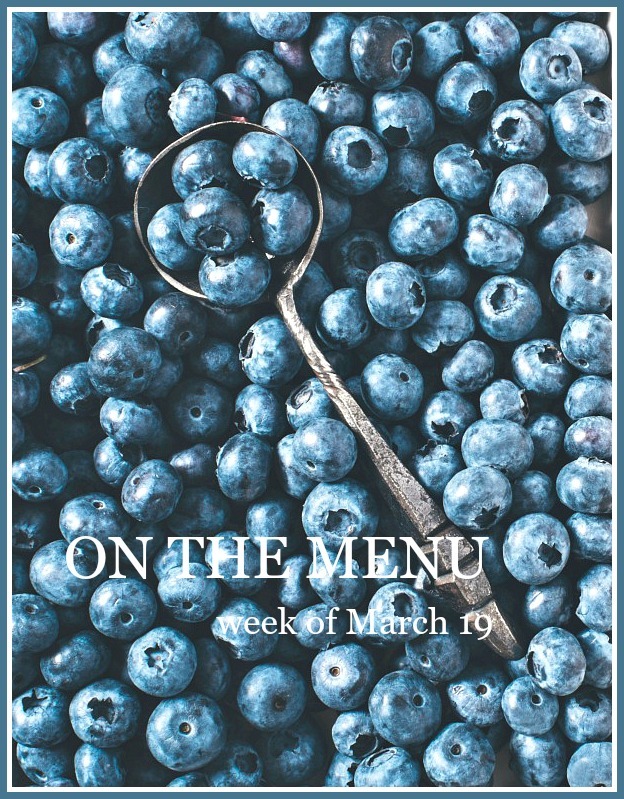 Thank you for helping me with my weekly menu. You have some of the best sounding recipes. I want to try all of your recipes in this blog, plus looking for Anne Burrell’s cookbook. Everything looks delicious!! Have a blessed day! 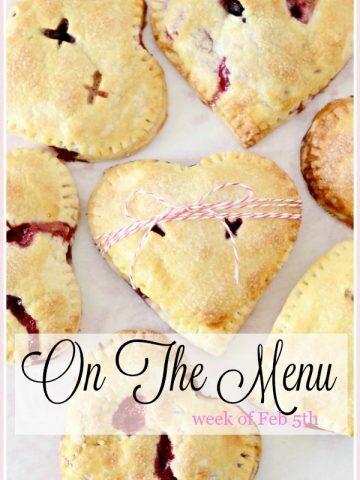 Thanks for this week’s menu! I can’t decide which is my favorite. I have made the Tuscan Garlic Chicken before and it is a family favorite. Seeing your recipe reminded me that I haven’t made it in awhile and I need to make it soon. I appreciate all the work that goes into entertaining and teaching all of us. I so look forward to your blogs. I’m so glad that your foot is getting better! Thanks for sharing your yummy recipes! I so look forward to your On the Menu for the week, I have tried so many and they are all easy and so tasty, thank you. Glad to hear your foot is improving. Can’t wait to try the Shrimp recipe! Love blueberries too! These muffins look so good. I love your menus! I am going to try and follow them this week. I live alone and do not usually cook anymore, but YUM! These sound great! Have a wonderful week. I am so happy your foot is doing better. So many delicious recipes to try. 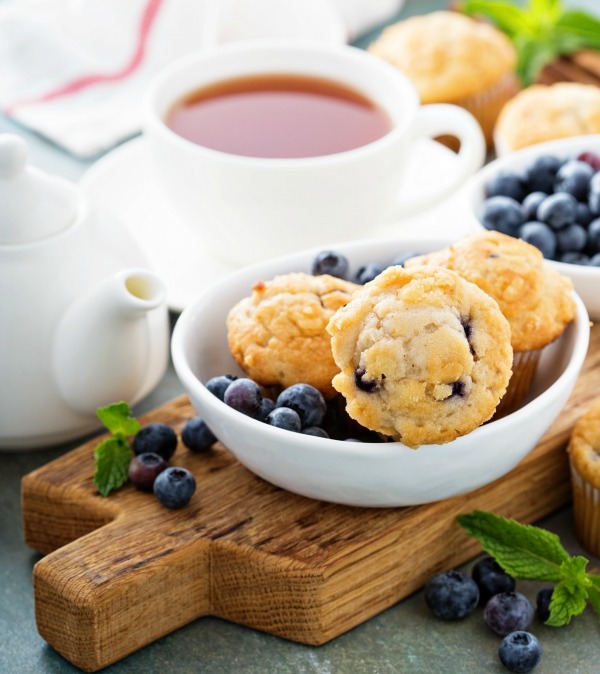 Your blueberry muffins look amazing! Happy Sunday, Yvonne! Thank you I found some yummy recipe ideas! Delicious! One thing though, from what my grocery store tells me, the canned breadsticks are no longer available from Pillsberry. Has anyone else been able to find them? Yummy, sure making me hungry. 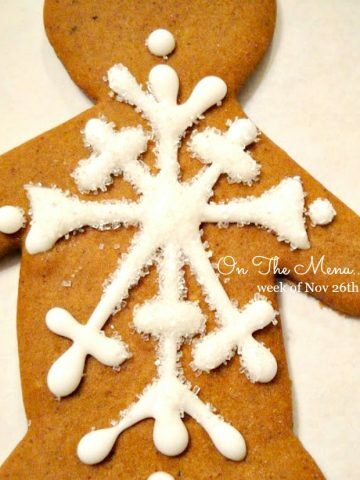 Thanks for the tip about the blog…The Recipe Critic. Great site. Wish I lived next door to you and come for dip inner 7 days a week! 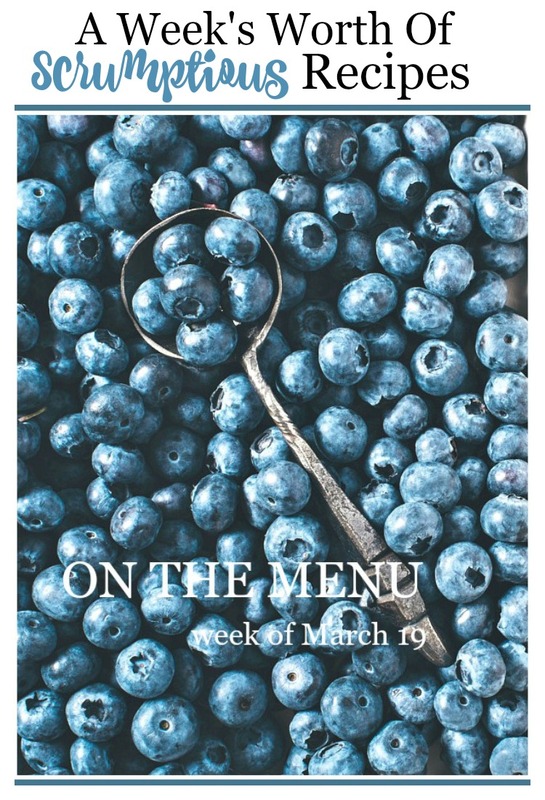 I always look forward to your On the Menu articles, and will definitely be making the Tuscan Garlic Chicken first. Thanks so much for sharing these with us. I like your musings too… will be turning 72 next month and find I muse a lot these days. It makes me grateful for all the good things in my life and especially the memories. Last, glad to hear your foot is slowly improving. It’s an awful pain you’ve been living with, so take care and let it heal completely before you run (or walk) off! Yvonne!! Thank you so much for including my Haute Dogs & Irish Soda Bread recipes! When I saw this I added the dogs to my shopping list. We are having them tomorrow night for an easy Sunday night meal. And well, the soda bread …. it is almost gone from my house. No matter how many loaves I make they disappear fast. Thank you again!! Everything here looks delicious. 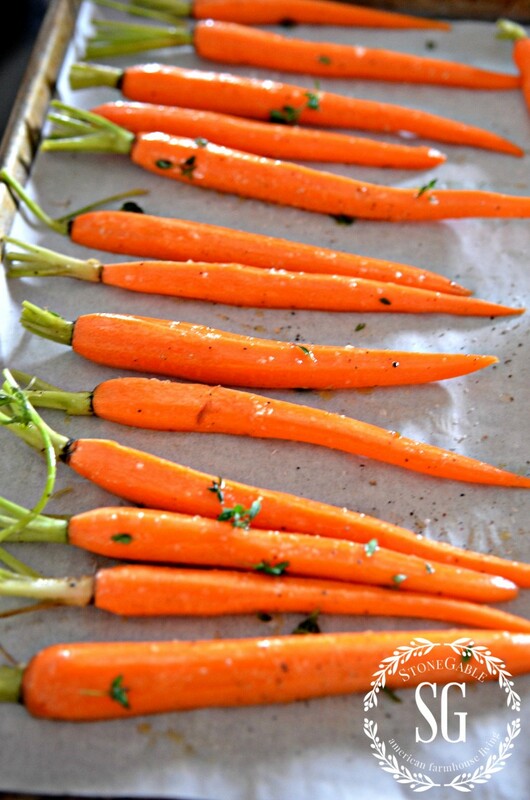 But those carrots look Devine! It’s cold here, that’s when I love to cook. You’ve inspired me today! Oh my so delicious!! Lots of wonderful food, where do I begin? Thanks for sharing. Looks yummy! So glad your foot is on the mend. Your food photography is simply divine…you want to take a bite and taste perfection..Yum!!! I’m always on the look out for a good blueberry muffin. These sound wonderful! Thank you so much! I’m a little picky when I go out to eat. Each restaurant has one thing that I think they do well and that’s what I order! I love to cook and truly appreciate good food! 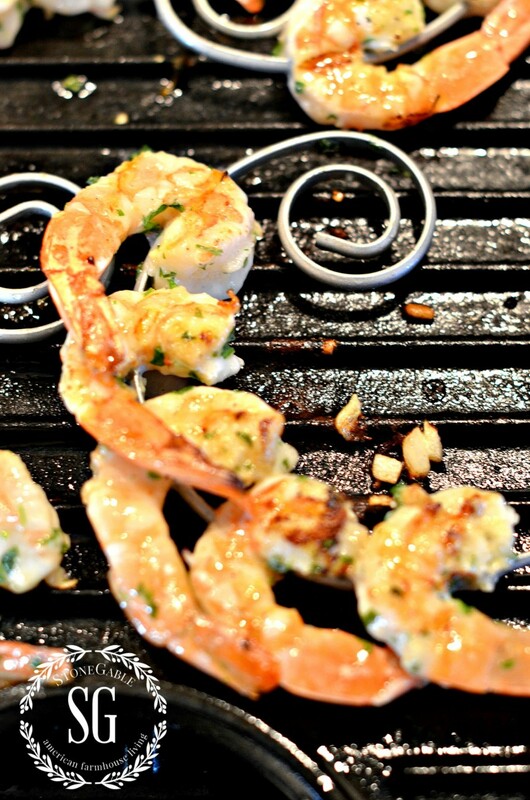 The grilled shrimp will be added to my repertoire! Many thanks! Trying your Nana’s soup and the roasted carrots this week! Thank you! These beautiful photos of all this yummy food, makes me hungry! I love to look at recipes too. It’s fun trying to find something good and new to add to the collection. Menu looks great. Chicken is always a good bet and the creamy Tuscan garlic chicken looks yummy. Chopped Cobb Salad is our favorite but can’t wait to try the Pepperoni Artichoke Breadstick Focaccia with it! Sounds so yummy. Thanks! 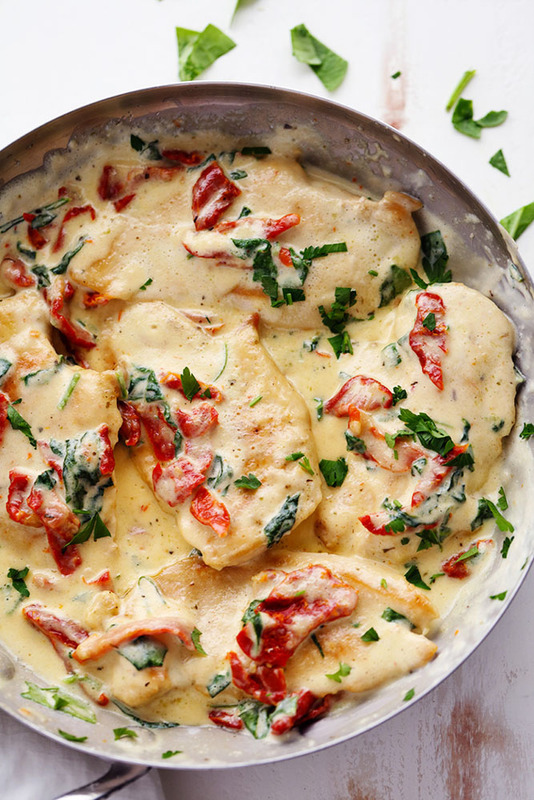 The Creamy Tuscan Garlic Chicken got my attention. I also subscribed to The Recipe CRITIC. 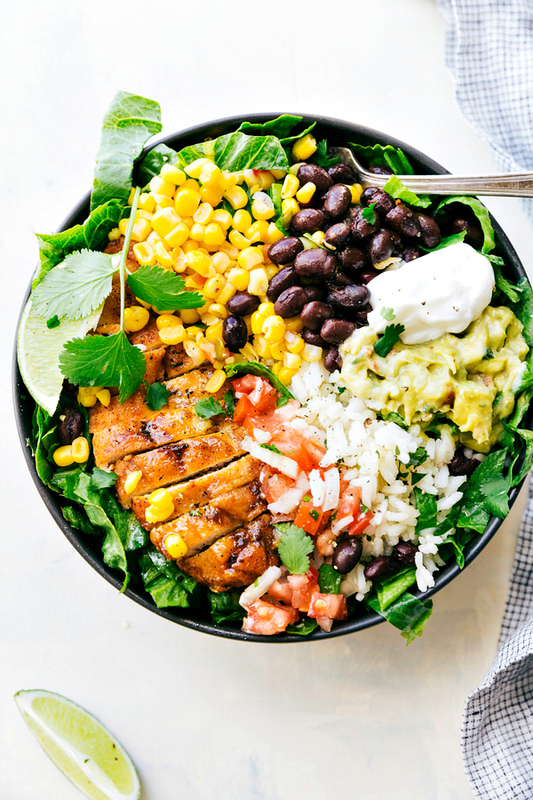 Food looks so yummy, Salad looks so inviting! 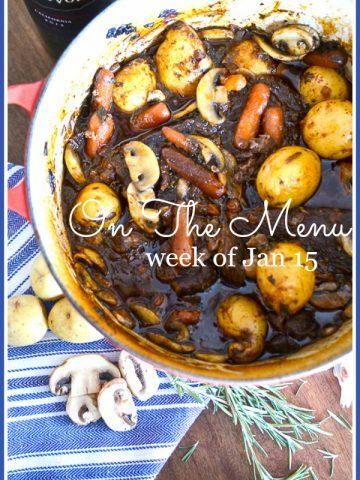 Thank you, Yvonne for the weekly recipe inspirations. It is snow covered here in Nova Scotia, Canada as well. I, too, look forward to digging in the dirt and bringing fresh produce from my garden. I am enjoying the podcasts . Many blessings. Yummy!!! I am so glad your foot is doing better. We have a few large blueberry bushes in our back yard, and in July we are blessed with all the plump blueberries we can eat. Those muffins are going in my recipe file and I cannot wait to try one! Looking forward to warm days and sweet smelling evenings on my porch. Made the valentine hand pies this morning pretty and delicious! Cannot wait each day for your inspiring news and posts. Many thanks!